You’re in Fargo, and you’re looking for ways to build up your team dynamics, work on communication, and have fun doing it. These seven team-building activities are just the ticket. 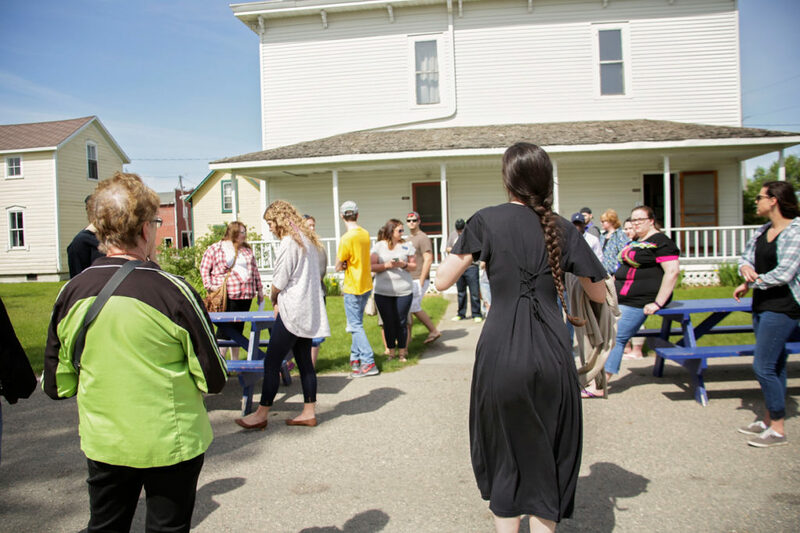 Solve a murder together AND see the historic pioneer village of Bonanzaville all at once – two birds, one stone, right? A great one for seeing how departments work together, you can split up into three teams of six and try to solve the murder. The staff at Bonanzaville explain the rules, and then you’re free to explore the entire village, finding clues to solve the case. These ever-popular puzzle rooms are a great way to get your team to work together and problem solve… and Fargo has three different companies you can choose rooms from. Fargo Escape Room has rooms for as many as 10 participants at a time. The two hardest rooms are a ‘homecoming’ theme, centered around a 1993 homecoming football game. At Puzzled Escape Rooms, you can reserve all four rooms at once (which hold 41 people total) for an all-out competition of which team can escape first. Themes include a museum of terror, photography studio, psychic parlor, wedding chapel, and an NDSU Bison fan cave. Finally, Escape House Fargo can hold up to 45 players in their five rooms, which range from a grandma’s condo to a detective’s office to a terrorist’s hideout. We’ve created a city-wide scavenger hunt, to get your team acquainted with all the major spots in Fargo. Have teams go out together or alone, choose if they need to find all or just some of the items, or give prizes for fastest time or best pictures of completed tasks. It’s up to you how you want to run it! You can also check out Let’s Roam Scavenger Hunts for an app-based hunt through the city. Bring your small group or team into a kitchen with a local chef as you prepare something delicious while also connecting with your team during a cooking class. Square One Kitchens has three team-building options. The first is cooking together to prepare a delicious meal (for groups of 12 or more). The second is a cupcake challenge, where teams develop their own custom cupcake and frosting flavor to be judged. The third are private cooking classes for smaller groups, from 6-12 people. For a less-traditional team-building activity, get everyone out of their comfort zones (and a little active). Drekker Brewing and Fargo Brewing Company host yoga + beer events. Bring your group for two times the relaxation as you attempt some yoga with a beer in hand. Or, check out Fargo Sky Zone, a trampoline park that frequently hosts corporate team-building events. Get in touch to see the type of bouncy fun they can plan with you. Don’t worry, they won’t have your team doing pull ups or ultra-heavy deadlifts (unless you’d like them to). At CrossFit Icehouse in Fargo, they’ll work with you to build an active team-building event to suit your needs and build the community. Like any community, Fargo has plenty of volunteering opportunities that work perfectly for team-building. Whether you want to help out United Way, work at the Great Plains Food Bank, or help out at the Red River Zoo, your team can do good and find a cause that fits your mission. To bring out the creative side in your team, host a Gallery on the Go party. 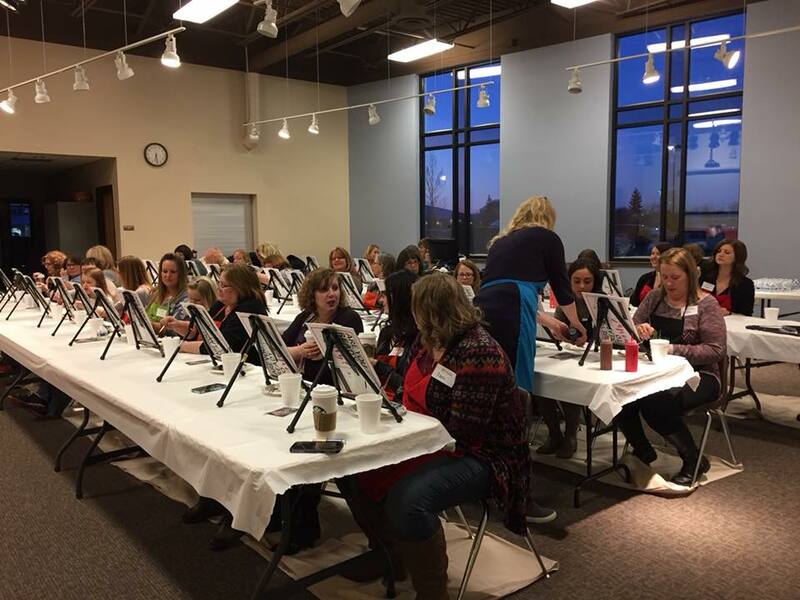 From painting to crafting, it’s a great way to get your group socializing and having fun, plus using their inquisitive right brain.